Rhyolite ghost town. 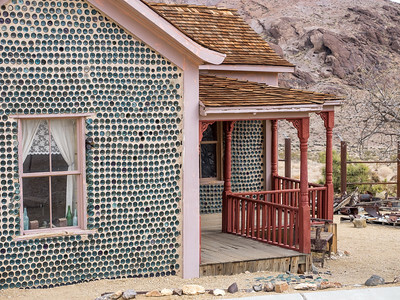 Miner Tom T. Kelly built this home from 50,000 discarded beer and liquor bottles. This same year, my brick house was being built in Denver. Rhyolite ghost town. 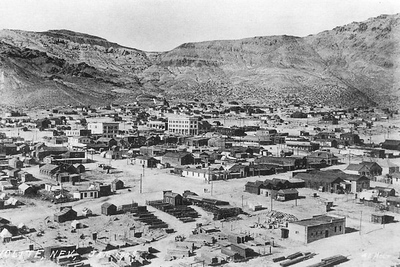 The Cook Bank building is in the center of this historic photo. 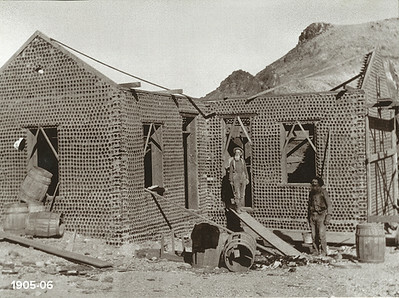 Rhyolite's boom years were 1905 - 1910. When the gold mine closed in 1911 the 8,000 inhabitants moved on. 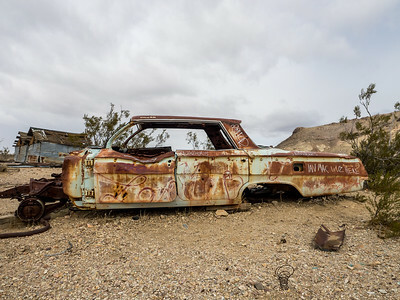 Rhyolite ghost town. The Kelly Bottle House restored. 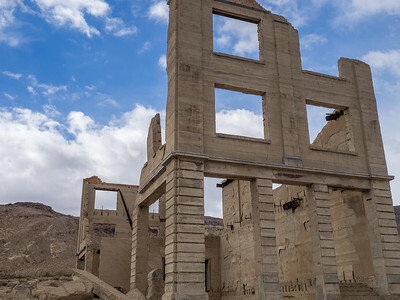 Rhyolite ghost town. Ruins of the Cook Bank building. The bank building is in the center of the historic photo. 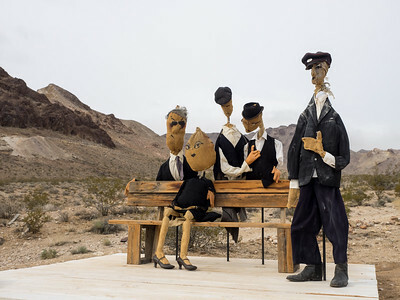 Goldwell Open Air Museum. Pretty much what you would expect for a museum next to a ghost town. Goldwell Open Air Museum. 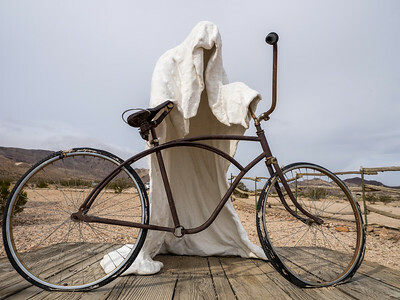 Good to know I'll be able to bike in the afterlife.